Attempted car-jacking at Thomastown, car..
There’s been plenty of drama in Melbourne’s north on Tuesday, with an attempted car-jacking at Thomastown. 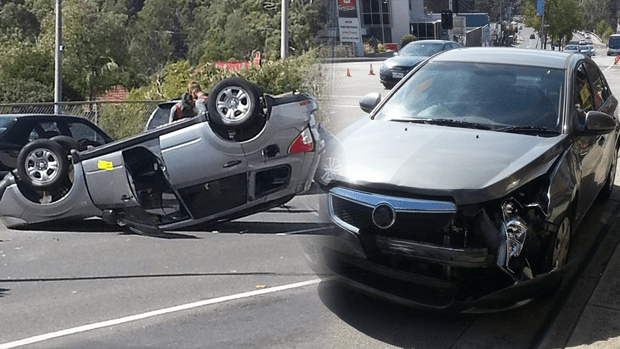 A car flipped in a two-car smash at Greensborough in a separate incident moments later. 3AW Mornings caller David was first on the scene at Thomastown and told Neil Mitchell the owner of the car was left ‘pretty shaken’ when a group tried to steal his car before fleeing on foot. ‘The offenders looked pretty young, maybe 15-16,’ David went on to say. Meanwhile, another car ended up on its roof outside the Greensborough RSL. Chris told Denis Walter she heard a loud ‘bang’ before spotting the car on its roof.